Fine Art by Rusudana Glonti: Painting For The Deadline. Good News! Good news! My application for Aberdeen Art Fair was accepted! Good news! My application for Aberdeen Art Fair was accepted! Aberdeen Art Fair is a fairly new but very popular and amazingly well attended event held at the prime location right in the center of Aberdeen- The Music Hall. It is a major event in the art life of Scotland which will represent a wide range of art and artists from all around Scotland. 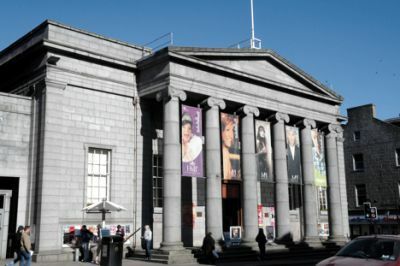 Aberdeen Art Fair will run from Friday, August 16 to Sunday, August 18. I am going to share the stand with my friend and fellow artist Annette Bird and we are both thrilled by the idea of exhibiting our art at such a nice venue. So my most important current objective is to produce and prepare for the show the best possible pieces.